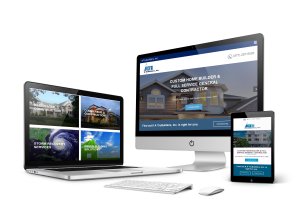 New Website Is Live | A TruBuilders, Inc.
A TruBuilders, Inc. is happy to announce the launch of a new mobile friendly website. We encourage you to spend a few moments browsing the site and learning more about the services we offer. As you will see, our new website is easier to navigate and the overall design presents a more interactive feel. In addition to these new features, the contact page has also been redesigned. Our contact page now consists of two integrated links for both Facebook and Google+, an updated electronic email form, a large interactive map and a “quick links” menu at the bottom of the page. Another feature that has been added to our website is the gallery page. Our gallery page showcases recently completed projects and allows potential customers to get a feel for the kind of work that we do. We hope that you will enjoy our new website and find the information presented to be readable, easily accessed and overall informative. If you are interested in learning more about our services or hiring our team of professionals to complete a project for you, contact us today for your complimentary consultation.